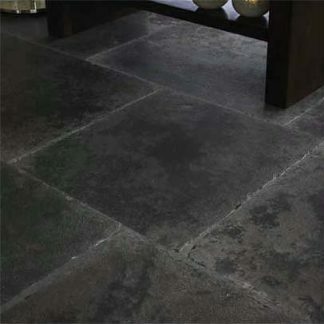 Flagstone in various formats 20-22mm thick. 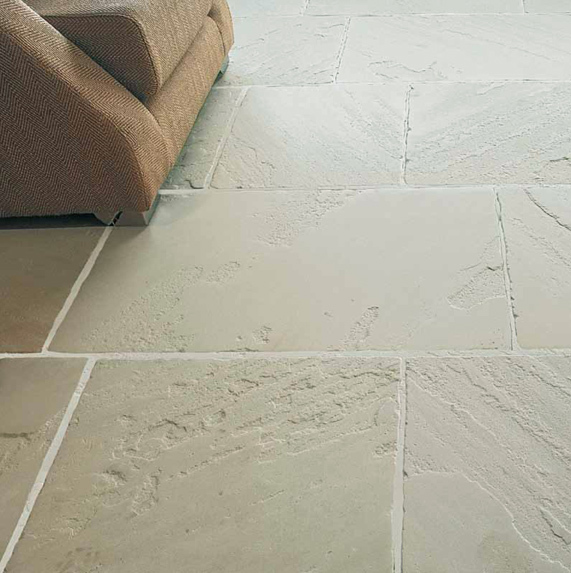 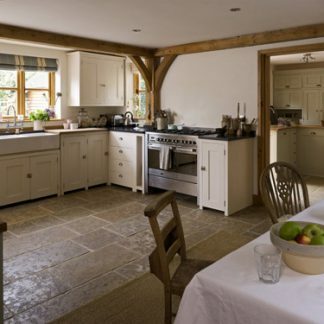 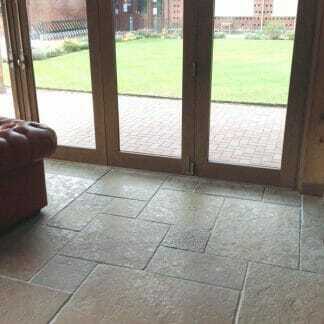 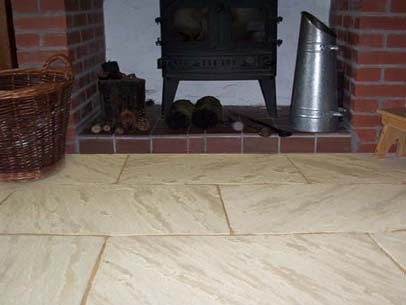 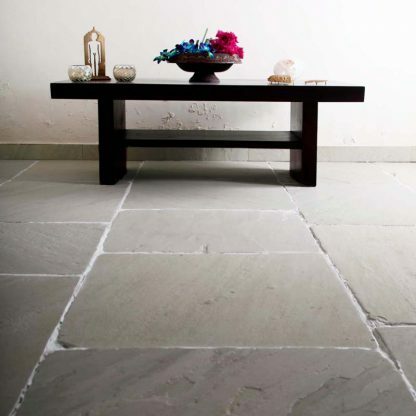 County flagstone is a popular choice, suitable for inside and outside. 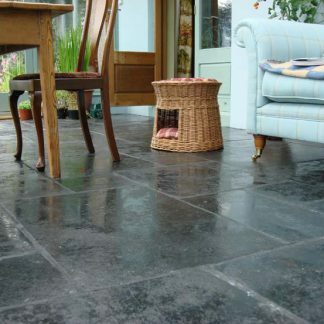 Great for Garden rooms, boot rooms etc which can run straight out onto the terrace. It is a riven flagstone but with time worn face and edge, in a white sand colour.